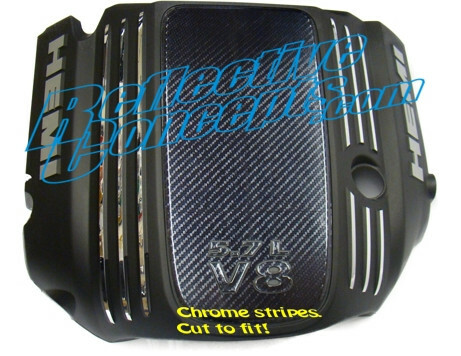 This page will help distinguish our different Carbon Fiber Color options. If you have any questions or would like a free sample of these colors sent, please contact us. These are images taken from different products within our website to show the different color variations. This is a high quality wrap film that has a textured feel to it and adheres to many different surfaces. Heat can be used to stretch it and it's extremely forgiving. You will not see air bubbles. Easiest out of all three to work with and definately our number 1 choice. This is a printed pattern of carbon fiber. It is unique because of the grey color in it that is often used to contrast with a black vehicle. The material is easy to work with and will adhere to a smooth, hard surface. This is a metalized film so it's a little stiffer and more difficult to work with. This offers a high gloss finish, but is quite dark when applied. While this is a popular choice, we recommend 3D Carbon Fiber over this.